Rock Review Phil: Blowsight "Life & Death"
Take the opening track It’s Me You’re Looking For for example: The song starts off with a very 90s pop punk sounding guitar riff, but when Nick Red’s singing comes in, I’m reminded very much of Black Veil Brides vocalist Andy Biersack, only more intense. Nick does a great job at switching between clean vocals and screaming vocals throughout this intense song, but it’s about 2:30 in to the song that the band pulls out one of its many surprises by temporarily changing the songs sound in to a country influenced, almost southern rock sound. I don’t think anyone could possibly expect that upon first listen to the song. The next track, Back Where We Belong features a lot of what made the opening track so special, with its fast distorted punk beat, but it doesn’t really have any surprises to it. The same could be said about the following track Play Play Play. It’s The Sun Behind The Rain where things are further changed up to sound like a Seether-esque alternative track, turning away most of the bands punk influence and playing a more straight forward alternative rock riff. The guitar solo of the tune sounds like it has some 80’s hard rock influence, just for how it is subtly virtuosic but simple and easy to remember. Blackout Time, heard later on the album, is another song I find features many elements of alternative rock. The albums ballad, Through These Eyes is a moment on the album not many people are sure to forget. 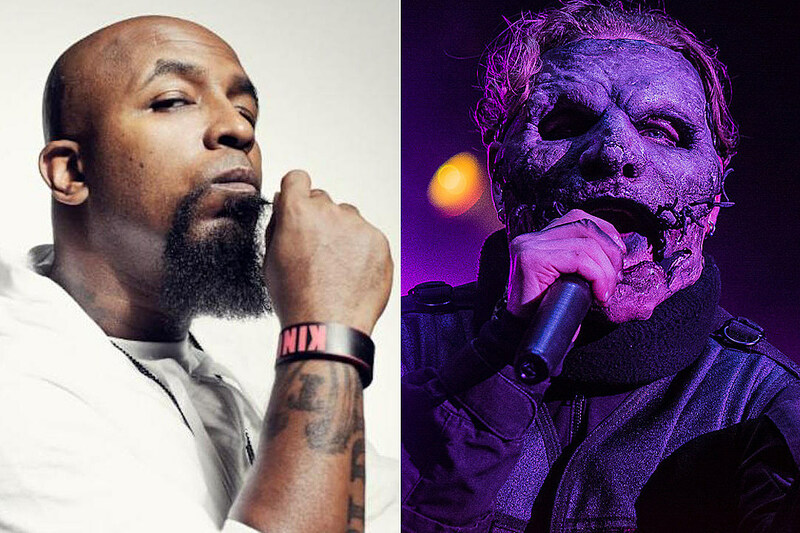 It is a very pop sounding song; I mean I’m not sure metal fans would really take to it, but it definitely further shows the capabilities of the band. I’m not crazy about the ending of the song. The ending features a rapper by the name of Pato Pooh, and his appearance on the song changes the sound completely, making the second half of the song a rap song. It may be because I just don’t get hip hop, but I feel the song could have been more useful without him. Perhaps they could have used this rap breakdown on another song, because I’d have really loved to hear how this song could have ended without the rapping. Afterwards, the band goes back to their alternative style of punk with Surprise and Hit On the Radio. I’m indifferent about the latter of the two songs, because true to its title, it really sounds like Blowsight is trying to get a hit on the radio. It reminds me of the new Fall Out Boy album, an album that I hardly consider a rock album despite its “Save Rock and Roll” title. One thing I won’t take away from Hit On the Radio is that it is a catchy song, and it sounds better than most pop songs in the mainstream, but that’s just what the song is: a pop song. The main other song on the album I’d call a pop song is We All Fall Down. This Pain is the heaviest moment on the album. It is almost a Metalcore song by definition, with its very heavy usage of screaming vocals, which Nick Red can do well and thankfully he doesn’t overuse on the album. The music of the song is not as thrashing as your average metalcore song, but it is definitely heavier than just about anything else on the album, and definitely heavier than anything up to this point. Blowsight puts forth one more surprising output with the jazz/swing influenced Red Riding Blues before ending the album with the epic Dystopia II. This almost nine-minute epic covers everything from its lullaby intro to its apocalyptic heavy punk body to its nightmarish middle part that sounds like it could have come out of a Tim Burton movie. And that’s all covered in just the first half of the song. The second half of the songs hard rock piano driven melodies makes me wonder if the band is actually genius at writing songs and I’ve only noticed at this point so late in the album. Every time I hear this song, that thought goes through my head. I couldn’t think of a better ending to the album. 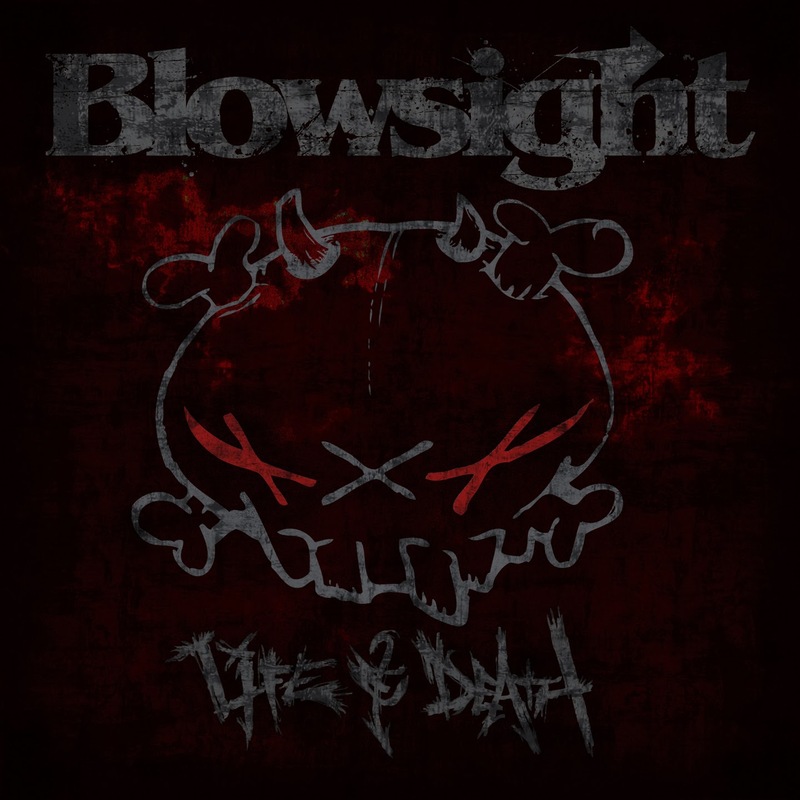 While Life & Death does have some shortcomings, for instance the pop songs, and the fact that the basis of the band’s sound (that Black Veil Brides sound is sure to either make or break their credibility) but it is undeniable that Blowsight are a dime-a-dozen. They are truly talented musicians who have a major mix of influences and they aren’t afraid to show that. “The Sun Behind The Rain” –­ I don’t know what I’d call my favourite song from the album, but this is definitely one of them. It may not have as much of a punk sound as other songs on the album, it really does remind me of what Black Veil Brides would sound like if they attempted a Seether song, but anyone who knows the two bands would know that’s an intriguing mixture. The song demonstrates the dark nature of Blowsight’s sound very well and would give any listener a good idea of what the Blowsight sounds like.